Evidence is mounting that Special Counsel Robert Mueller is moving toward further indictments — and perhaps some big ones, with an end-of-year flurry of activity, Garrett M. Graff reports for Axios. The big picture: Graff — one of the most astute Mueller-watchers, and author of a book focused on his dozen years as FBI director — sees six signs that a Mueller climax may be accelerating. Mueller is tightening the screws on Jerome Corsi, a friend of former Trump adviser Roger Stone. A plea deal — or charges — appear imminent. Ecuador may be moving toward turning over WikiLeaks founder Julian Assange. The government removed its Assange-backing U.K. ambassador last week, and has prohibited his lawyers from meeting with him. The report yesterday by The Guardian that Assange and former Trump campaign chairman Paul Manafort may have met repeatedly — denied by Manafort and Assange — raises the stakes dramatically. Russian spy and NRA superfan Maria Butina is reported to be in talks for a plea deal. A number of Mueller’s prosecutors were hard at work on Veterans Day —when Michael Cohen took the train to Washington to talk to Mueller's team. ABC News reported an "unusually high" number — nearly three dozen, in fact — of sealed indictments filed over the course of the year in D.C. Fourteen of those have been added since August, a period when Mueller’s investigation was publicly quiet. And this big one: President Trump last week finally turned in long-awaited written answers to Mueller’s investigators. His story — or at least a version of it — is now locked in. By doing so, Trump tacitly acknowledged Mueller's authority, despite tweeting last night: "The Mueller Witch Hunt is a total disgrace." Since Mueller laid low while waiting for Trump’s responses, the special counsel may have wanted to avoid taking any action that might spook the president. Mueller appears to have been thinking this through carefully — not rocking the boat while he waited out Trump. His team delayed a mid-November hearing, where prosecutors were supposed to discuss Paul Manafort’s "lack of cooperation." They made that accusation Monday, after Trump’s answers were in hand. 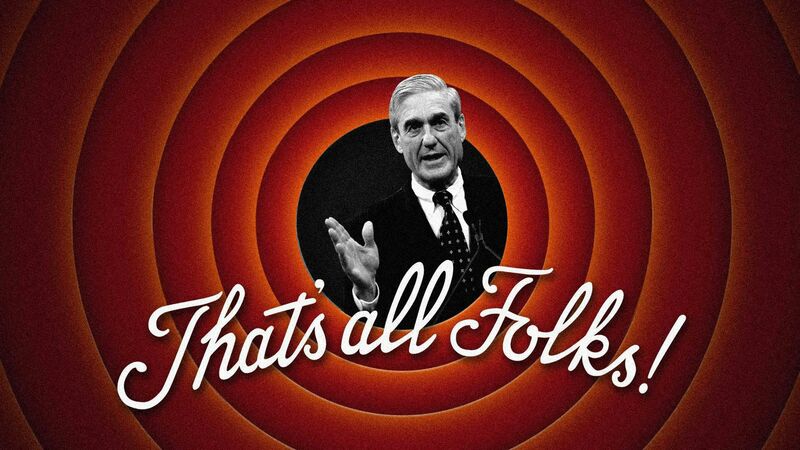 So the timeline looks like it's speeding up, after four months of near-silence from Mueller. Manafort's lack of cooperation might be the opening needed to file Mueller's most explosive findings in public shortly. That could include new information about that mysterious 2016 Trump Tower meeting, or details about a possible Assange connection. Based on Monday's court filing, Mueller apparently hopes to quickly issue a "report" on Manafort’s activities to the court, one that — if it’s anything like other documents Mueller has filed thus far — will be more informed, more knowledgeable, and more detailed than we can imagine. Graff writes for WIRED: "Robert Mueller's endgame may be in sight."